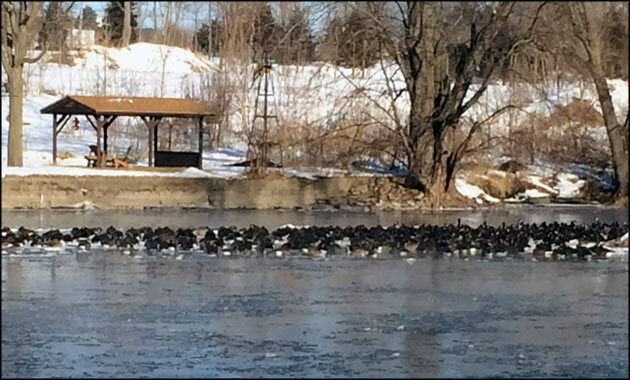 Do you have a Goose Control program in place to protect your property? 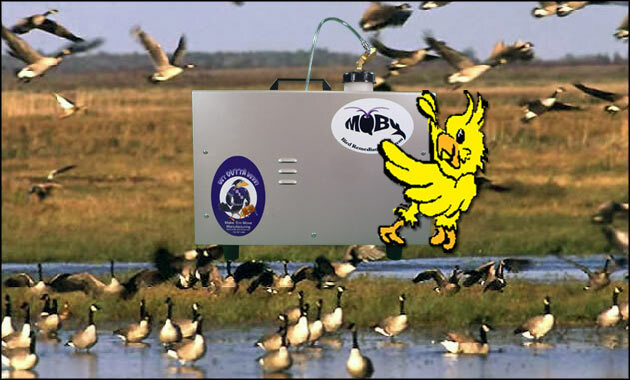 The Portable Moby Hazer is ideal for repelling geese and other birds in large areas by irritating their sense of smell. 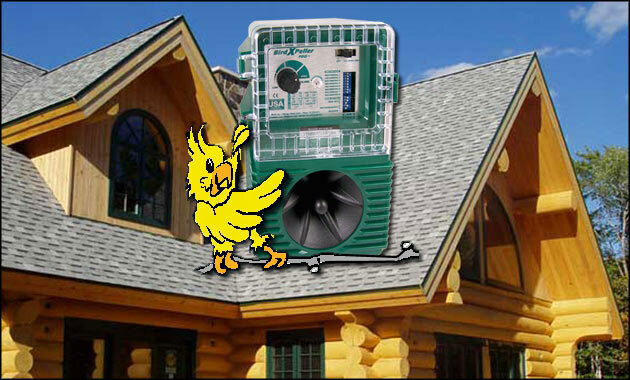 The BroadBand Pro uses discreet and silent ultrasonic sound waves to repel birds in large areas. 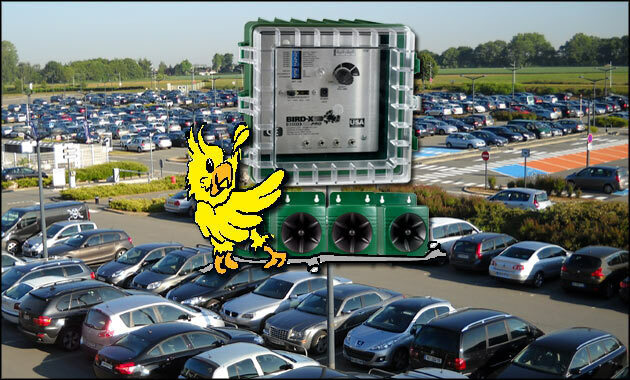 Electronic sound devices like the BirdXPeller Pro use species-specific bird noises to keep birds away. 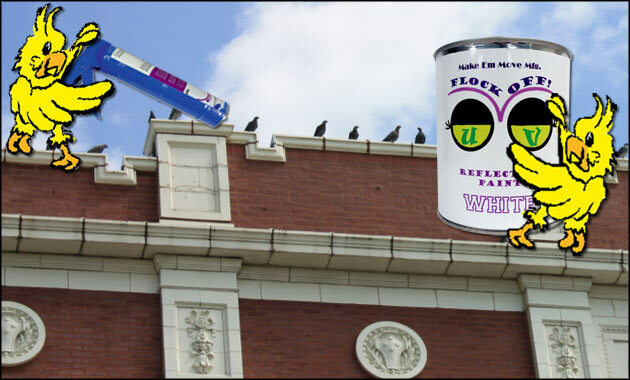 Scare away birds using realistic predator decoys and visual scare devices like the Flock Reflector, an ideal Seagull deterrent. Low-voltage shock devices like the Umbrella Protector keep birds from landing and roosting in unwanted areas by giving them a small "zap"! 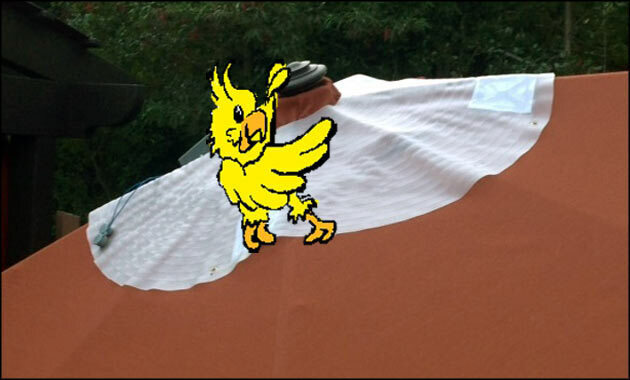 Bird Netting has many uses which prevents birds from landing and ruining buildings, property and equipment. 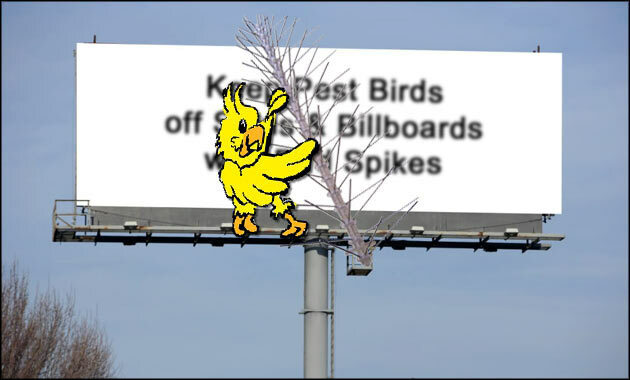 Roost inhibitors like Bird Spikes permanently deter pigeons and other birds from perching on signs, ledges, beams and billboards. 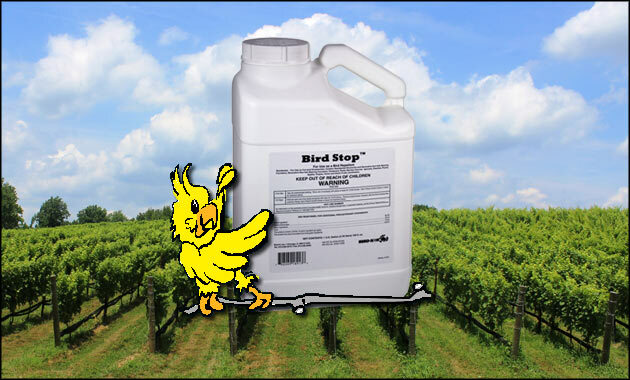 Bird Stop is a bio-degradable liquid bird repellent that protects grass, plants and crops from hungry birds. A synergy of products like Flock Off! UV Reflective Paint combined with Flock Off! Bird Gel deter birds visually and physically from landing. Yard Gard uses motion-activated, ultrasonic sound waves to keep pests off your property! Autonomous Bird LaserAutonomous bird laser can be programmed to automatically and continuously repel birds! Flock Free Tank Mix KitTank Mix Kit is a specially formulated liquid bird repeller that can be sprayed on structures and foliage. Welcome to BirdStoppers.com. We are dedicated to helping solve your bird and pest control problems with our line of highly effective and safe bird control products. 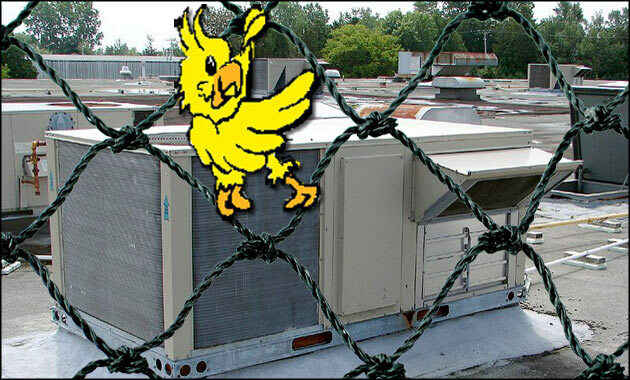 We have solutions for bird problems large or small. We realize that having a bird or pest control problem can be very expensive, time consuming and stressful. 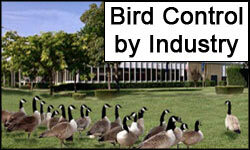 By visiting us, you've already taken the first step toward developing a successful bird control solution. Our goal is to help you achieve that result! 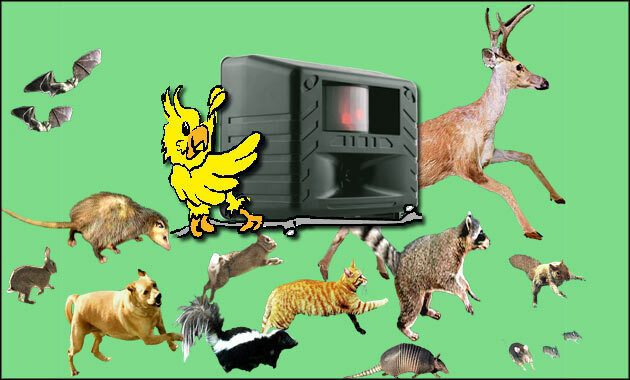 You cannot afford to allow a bird or pest problem to go on unabated any longer. Whether you are running a business or protecting your home, bird infestations can bring disease, damage expensive infrastructure, and even cause injury to persons and animals. An investment in a BirdStopper’s bird repellant or deterrent device is an investment in your property and potentially your health. Please browse among our full range of top quality bird control products. We have all the bird control methods covered; from bird repellents to electronic bird deterrents, there is a safe yet effective bird control solution for you. You may discover a new device or bird repellent among our catalog that you were not previously aware of, such as our new line of Bird Hazers. We frequently update our product offerings to include the latest advancements in bird control that improve upon effectiveness, safety, and ease of use. We offer the best brands in the industry like Flock Free and Bird-X products and we also introduce lesser known yet innovative brands as well. You have come to the right place at BirdStoppers! 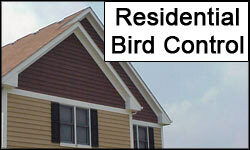 We hope that you will find our bird control site easy to navigate, educational and informative. We offer a wealth of information on this site about pest birds and other critters. You will find additional helpful resources on our weekly blog, Bird Beat, and our social media pages like Facebook and Twitter. Please follow us on these sites and consider subscribing to our periodic BirdStopper's Newsletter for helpful articles, product updates and special promotions. We always encourage your feedback so please share a brief testimony or write a product review on our bird control products. Our Committment To You! Providing friendly and experienced customer service. Working with our customers from beginning to end to educate and develop a complete bird control management program. 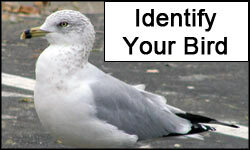 Expert evaluation and analysis of your bird or pest problem. Educating our customers on bird behavior and characteristics and recommending the best suited bird control products. 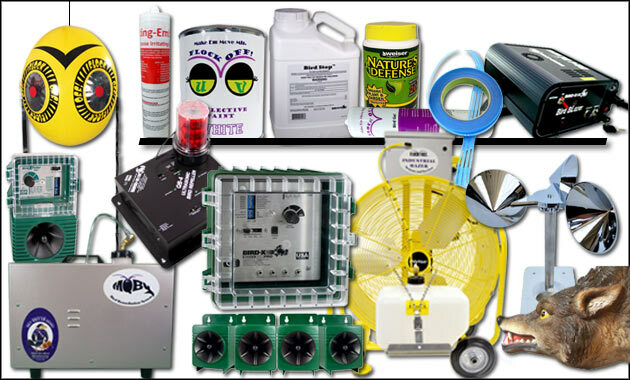 Offering competitively-priced, safe and effective line of bird and pest control products. Offering a diversity of bird control deterrent methods. Utilizing our site as a continuing education resource. 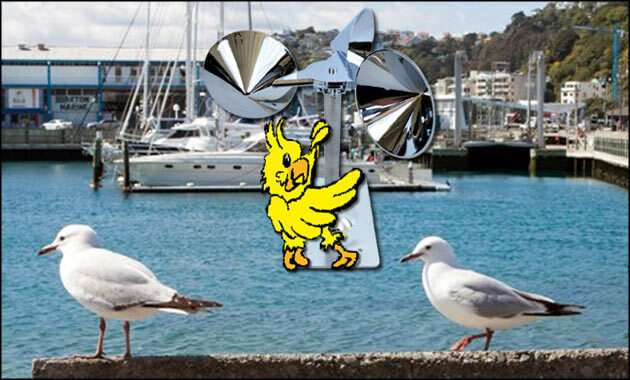 Providing post purchase assistance with bird device installation help and product usage. Why is Bird Control so Important? Here are a few reasons why it is important to control birds. Click on the title link above for more details. ► Control repair and cleanup costs. ► Protect equipment and products. ► Prevent destruction of property. ► Prevent the spread of bird disease to humans. ► Maintain good public image and reputation. ► Prevent slip and fall accidents from droppings. Questions? Give us a call any time to speak with a friendly and knowledgable BirdStopper's representative. ► Visit our Education Center for more on birds. ► Explore Birds by Species for help identifying birds. ► Review Industry tips and strategies to repel birds. ► See our Featured Products. ► Get expert analysis and a free Evaluation. ► Our Resource Center features product installation help, demo videos, FAQs and much more.